First Time Gardener: How Wet is Too Wet? But how do you know when to get back out there? Does it really matter? Why? There are two things to think about. First, is it so muddy that I can’t effectively get anything done? Second, is the soil so wet that I will damage it by working it? I’m guessing that most of you can answer the first question fairly effectively. While weeds do pull very easily after a rain, no one likes to be up to their ankles in mud. The second question is a bit more challenging. Especially if you have a clay soil, it is very important not to start working it too soon after a rain. By “working the soil” I am primarily refering to tilling or cultivating. Even using a shovel can cause problems for soil that is too wet. The main reason to avoid tilling or cultivating when the soil is still wet, you can cause compaction problems or pulverize the soil. This can cause pretty severe problems, especially once the soil gets hot and dry. To determine if your soil is to wet, do a “ball” test. 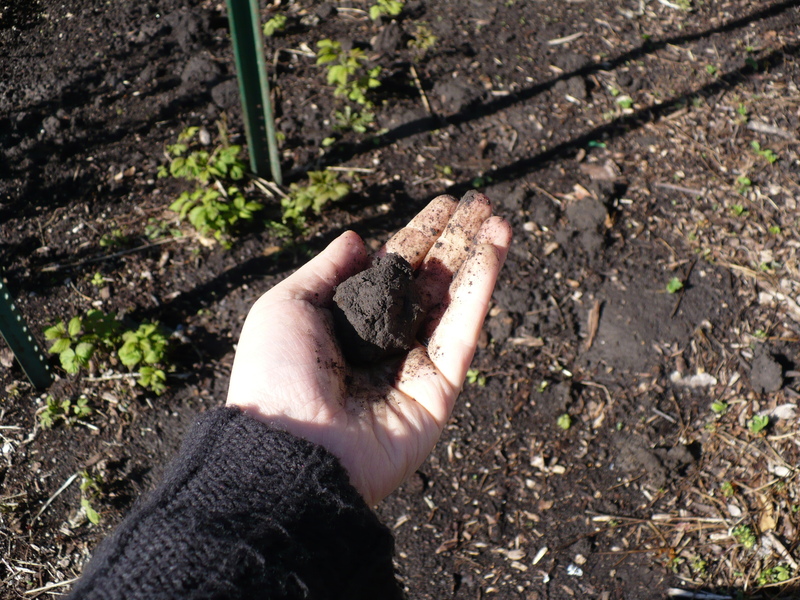 Scoop up a handful of soil and form it into a ball. If it is sticky and maintains its shape, it is still too wet. If it gently crumbles, then it is ready to work again. Below are two different soil samples. This soil is moist, but still crumbly. 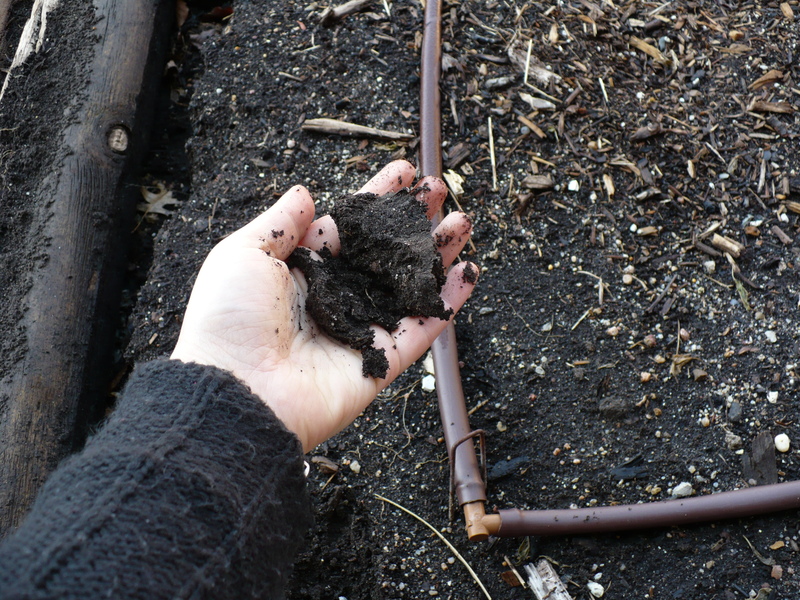 This soil was from one of the raised beds in the demo garden. It has a higher organic matter content and the raised beds help with drainage to dry the soil out more quickly. This soil is still too wet. This soil near the raspberries has a higher clay content, so the soil takes longer to dry out. Posted on April 14, 2009, in Around the Garden, Family of 4 Garden, The First Time Gardener and tagged weather, wet soil. Bookmark the permalink. 1 Comment.